Happy Halloween to the Readership. The Experienced Travellers wish you more treats than tricks. In France, they invoke their Catholic heritage and make national holidays of Holy days and Saint’s days. Add in numerous Bank Holidays and it makes for a very relaxing schedule. 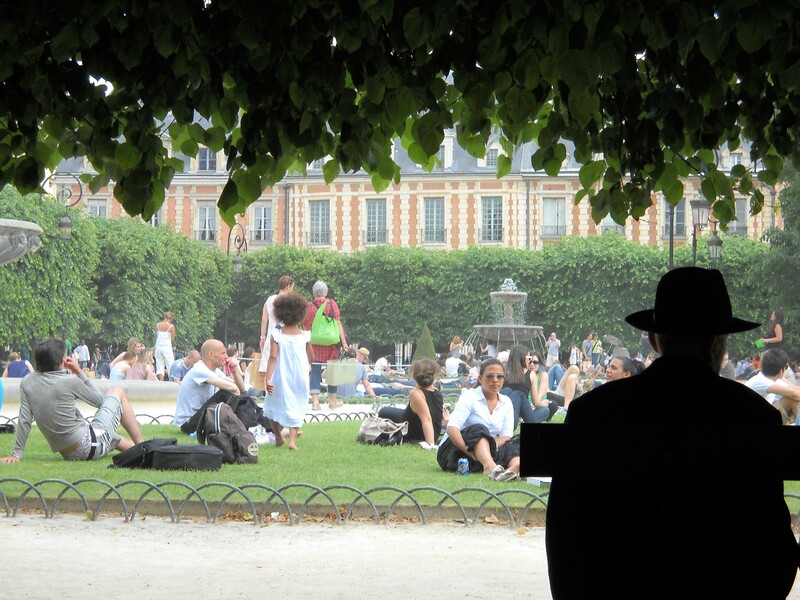 In the grand French tradition, it’s an opportunity to exercise the right to outdoor leisure and convivial dining over a long weekend. Vive this French bureaucratic policy! Toussaint – the Feasts of All Saint and All Souls – is the first three-day weekend after the rentree. It’s a time to honor Saints like the remarkable Genevieve, and to remember the deceased. 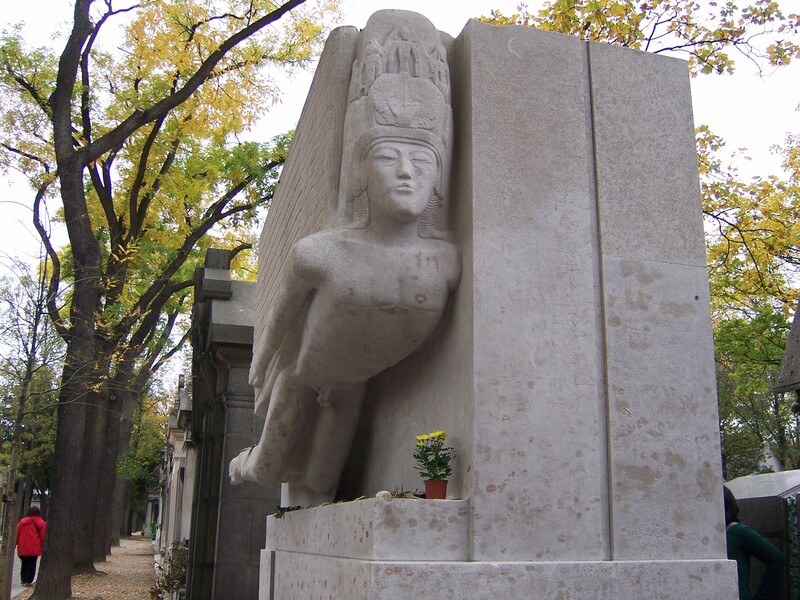 In memory of saints and singers, the ETs recall their visit to the Cimetière du Père-Lachaise. 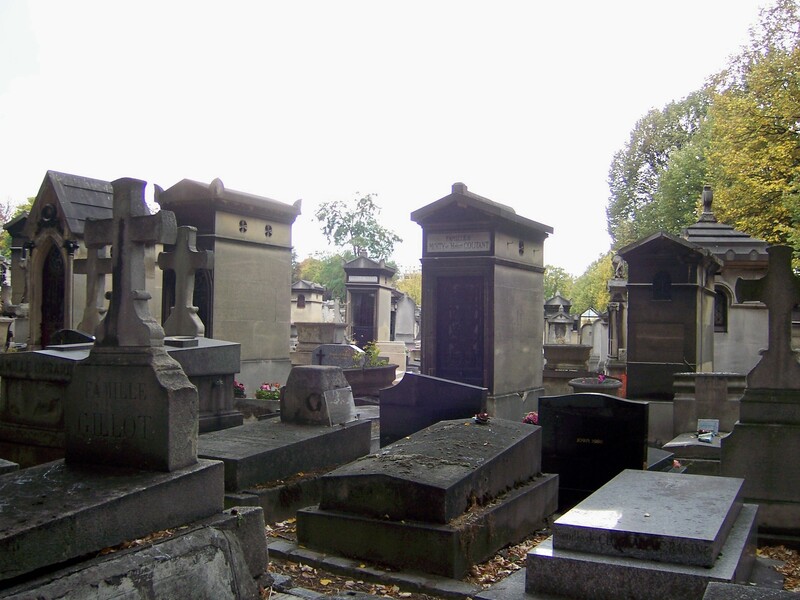 It’s the largest cemetery in Paris, and justly famous. 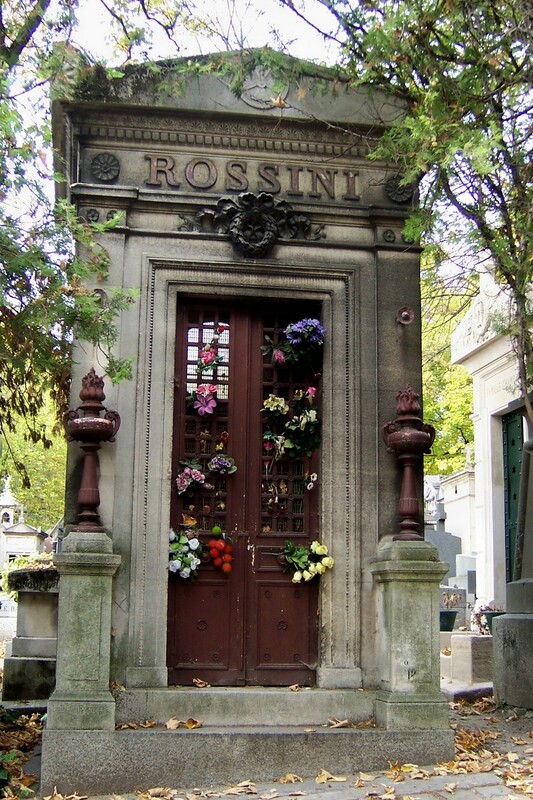 Residents include Colette, Piaf, Gertrude Stein, Oscar Wilde, Chopin, Rossini and Jim Morrison. 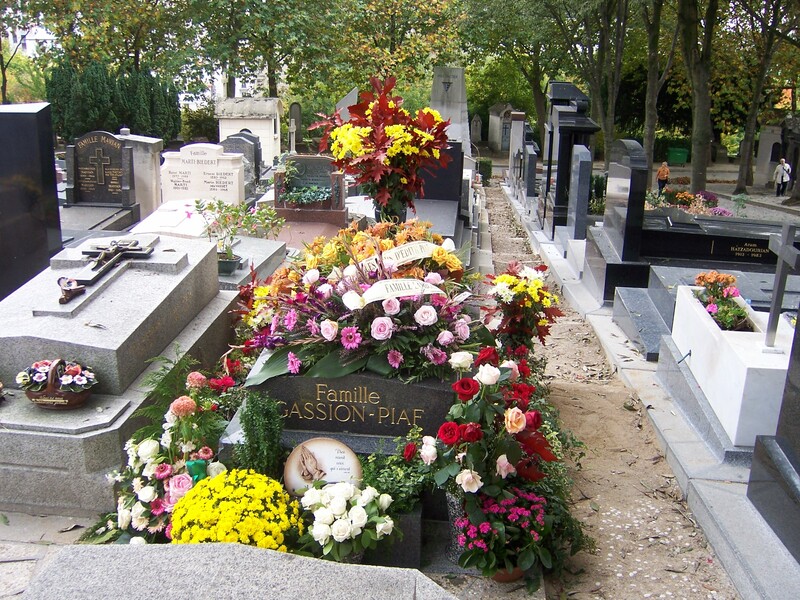 Edith Piaf's burial drew tens of thousands mourners to the cemetery and Paris traffic to a standstill. When the cemetery opened in 1804, people thought it was too far out of town. But some flashy marketing saved the day. 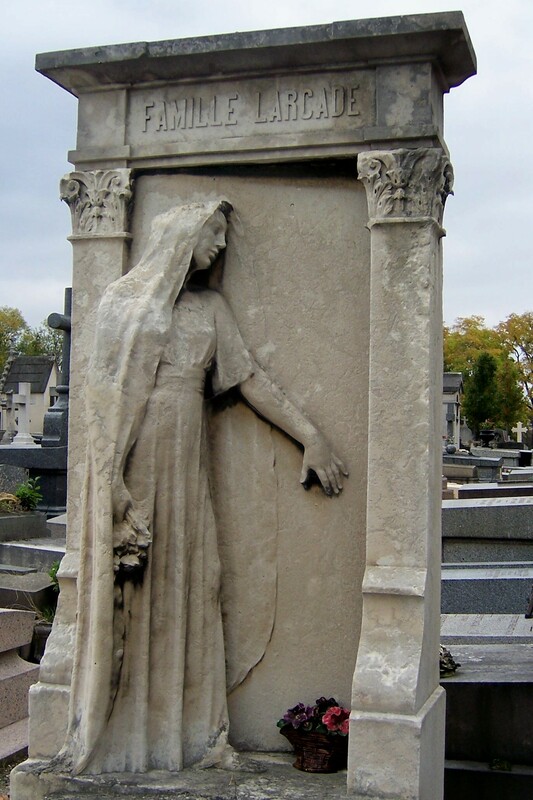 They reburied Moliere and La Fontaine here, then intered the “remains” of medieval lovers Abelard and Heloise. Before long, everybody wanted in. Oscar Wilde's dying words - "either that wallpaper goes, or I do"
Knowledgable ETs take provisions. Fortunately we packed food, because we spent the day horribly lost. The free cemetery map wasn’t up to the job. One allee looks very much like another. Everything was uphill. Under a dire sky, we trod the gravel paths arguing over magnetic north. 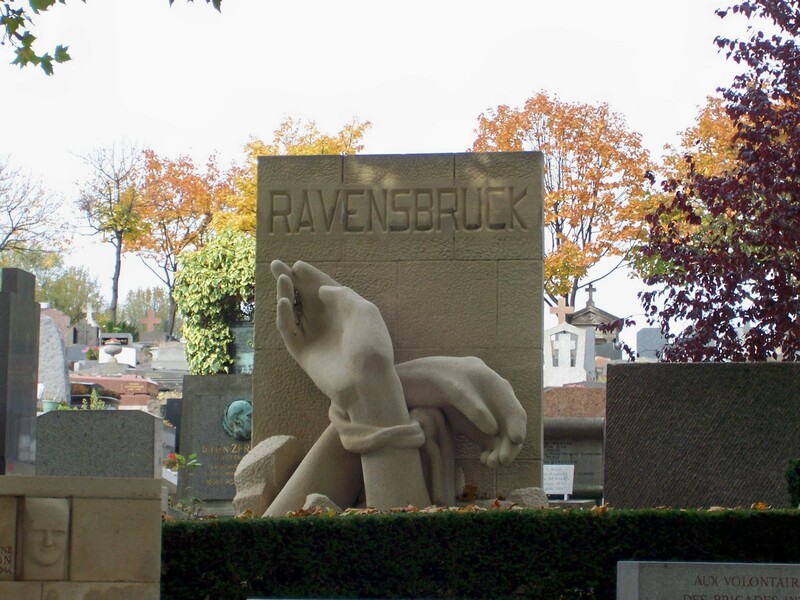 I must mention that the most arresting monuments in the cemetery are the Holocaust memorials. We come to see the famous graves, but these deeply moving tributes are the ones we remember. By late afternoon, I understood which way to hold the map. My secret plan was coming together. Nurse was getting suspicious, because I confidently scampered up hills and between mausoleums. At last, I found him. 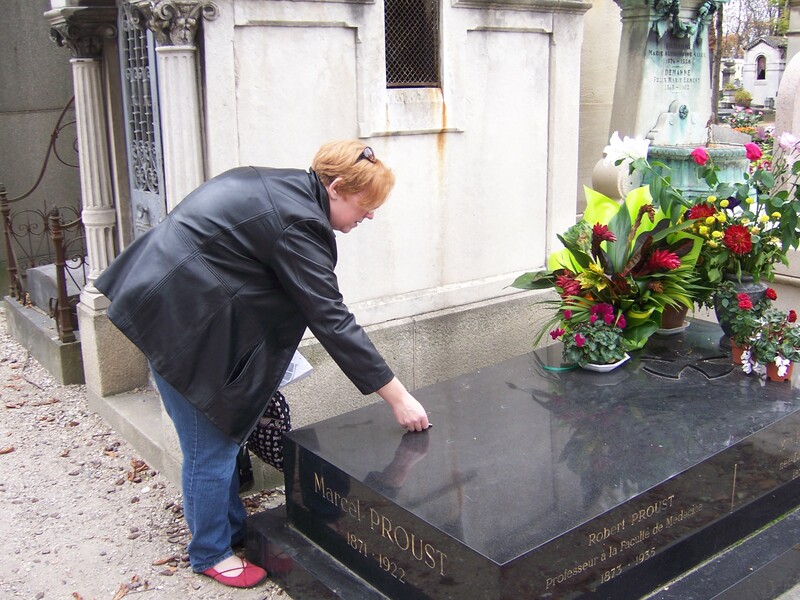 Marcel Proust. If only I hadn't eaten that last madeleine. Certain ETs pay homage to the great Belle Epoch author. His monument is almost as high as the six volumes stacked. He doesn’t draw Jim Morrison’s fledgling hippies, or lover’s pleas like Abelard and Heloise. We devotees come for a moment of involuntary memory or a spot of tea. Nurse was good-humoured about it. This was nothing compared to the truly scary Proustian fieldtrip to Illiers-Combray. But that’s for another post. Enjoy Halloween. Perhaps the candy and the costumes will invoke an involuntary memory of your own. This entry was posted on October 30, 2010 at 9:01 pm and is filed under Paris parks. You can follow any responses to this entry through the RSS 2.0 feed. You can leave a response, or trackback from your own site. 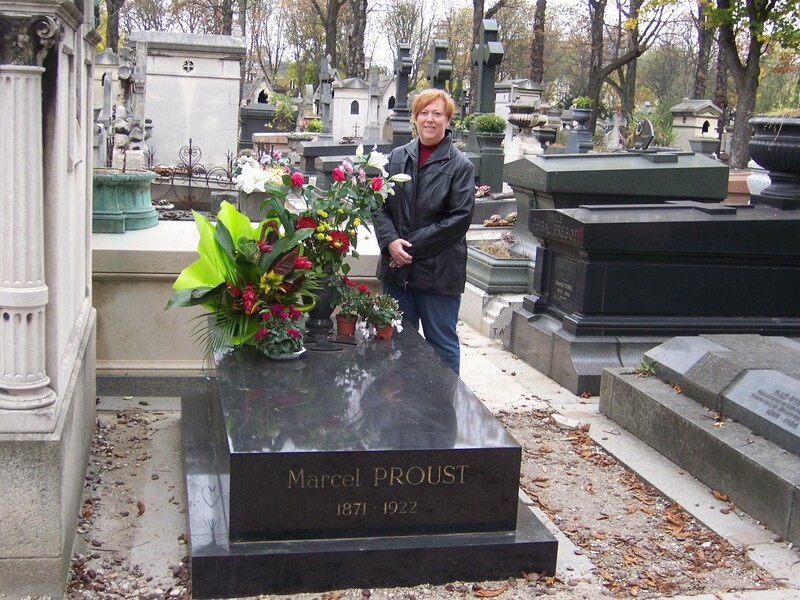 I wonder if Marcel’s grave is cork-lined, like his living room? This made me laugh out loud! Do you suppose the Ritz delivers his favourite beer and ice cream as well? Made Bob go with me to Jim Morrison’s site during our honeymoon trip. As usual, he was very patient with me. Thankfully, Bizet was nearby to divert his attention.